Are you ready to grade your TM1 application? 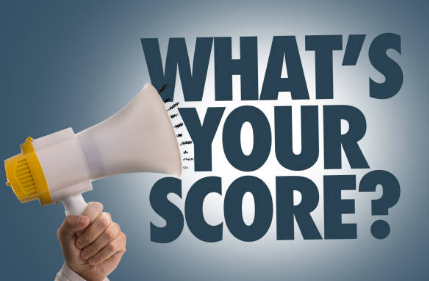 Read on for some questions to help you grade your performance. How good is your TM1 Architecture? transactional data, revenue and cost on millions of products, workforce planning for thousands of employees worldwide, etc. But that doesn’t mean that all TM1 models are equally robust. Good architecture is necessary to ensure that models perform well, and are easy to use. We’ve developed a simple Q&A to help you determine the health of your TM1 application. Take a look at the list below to get a sense of how your implementation stacks up. For each item, we also give some insight into how to increase your score. My cube views and reports are very responsive and snappy, I don’t ever wait more than a few seconds when opening a report/web page/cube view. If your reports are slow, make sure you’re building reports that pull data directly from TM1—a common mistake is to pull down huge amounts of data onto a “data” tab in Excel, and use pivot tables and look-ups to build your reports. Instead, build your reports to pull the information that you need directly. If a service is taking too long to restart, you likely have issues with your calculations not being optimized. When entering data in a cube view, there is no delay. If you experience delays inputting data directly into a cube view, you likely have a feeder issue. Feeders are TM1’s secret sauce—they allow TM1 to calculate across huge cross-sections of data very quickly. But, if they are poorly written, Feeders can cause your model to be sluggish. Performance gets improved in every version, stay current not only for new features, but also for performance improvements! I can easily find which cube I need when performing ad-hoc analysis. If you have a different cube for each year, or 10 cubes for your Workforce Planning model, your model can likely be improved to be easier to use. I’ve seen systems with 100 cubes, redesigned to have 15 cubes, which clearly improves usability, among other things. Meaningful cube views help users find their information without digging. Our adoption rate is high, and growing. If your adoption is lagging, usability is likely the primary factor. Survey your users regularly to continuously improve both model functionality and usability. Security is in place so that users only see what is relevant to them. Security is not just for locking your model down, it is also a great way to limit what users see so that they are not overwhelmed with irrelevant information. When a new forecast cycle starts, it only takes a few minutes to set up. Set-up should be limited to the simplest things like setting a new forecast year, and archiving your current forecast. This process should not be cumbersome or error prone. Our system is fully integrated with source systems such as CRM and ERP (“lights out”). It’s the 21st century! Your TM1 model should be directly connected to source systems and able to update your data directly. Data loads are nightly and automatic. Data should be automatically refreshed frequently, and should be painless. It’s also important to be able to load data on demand as needed. We rarely have data validation issues. Loading data should be, for the most part, an automatic task, and should take care of things like adding new accounts or departments. Constantly validating data is a sign something is amiss in your model. When we need a new calculation, data point, hierarchy change, or other minor modification, we can get it from development to production in a reasonable time frame. Is your software development cycle too cumbersome? Some process and checks and balances are useful, and minimize risk, but too much process can slow the gears of progress to a halt. We use a web interface for our standard reports and input templates. Excel is reserved just for building new reports, and deeper ad-hoc analysis. If you’re still emailing workbooks around, even if they have TM1 formulas, you’re still subject to version control and security issues—a web front-end solves this problem. Our TM1 application is integrated with other key applications, such as BI or other reporting tools, making modeling, analysis, and reporting seamless and connected. Key applications should all talk directly to each other. If you’re pulling data manually from one system in order to load it into another, that’s an opportunity for improvement. We have included predictive (statistical) modeling into our forecast. Predictive modeling is now within everyone’s grasp! At a minimum, consider utilizing Predictive to seed your forecast. It’s easier than you think. We have workflow, including a built-in approval process and email alerts. A clean workflow can really help you see where you are in your process, and keep people engaged throughout. QueBIT is here to help you maximize your analytics investment. Whether you need a full system assessment, or an update on the latest TM1 or Cognos features, please contact us at info@quebit.com to map out an approach that fits your schedule & budget.